Birthday Came Early | ¿Qué Onda Guero? To my knowledge, most people over 30 don’t exactly relish birthdays too much any more. It’s not that I dread birthdays, yet. It’s just, you know, inevitable, so it just is what it is. Anyway. I’ll be turning 35 on the Friday after Thanksgiving. We have a whirlwind couple of weeks ahead of us, with trips to Pennsylvania, San Fransisco and back to Pennsylvania. So Karen decided to present me with my present early this year. And what did she get for me? Oh yes!! A mighty fine, brand spankin’ new Canon EOS Digital Rebel XTi. Complete with two lenses (one telephoto!) 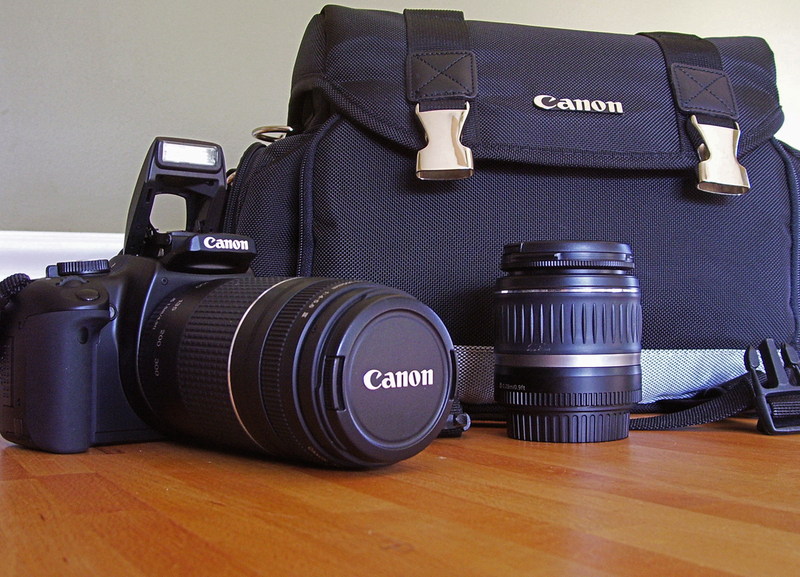 and a very nice camera bag (lots of pockets and zippers and places to stow all kinds of things). Oh my goodness. I was simply beside myself. Speechless. I literally had no words. I’m just giddy. Do I not have the best wife a guy could ever marry? This might be my most favoritest birthday yet. I can’t wait to go on a photo walk with Roger and Jim (if they’d be kind enough to let me tag along). 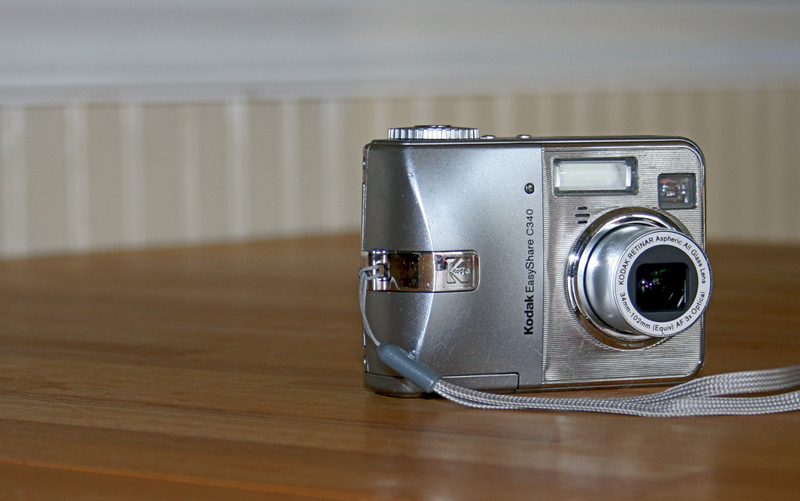 A Kodak EasyShare C340. He’s served me well over the last three years. Don’t fret, little guy, I’m sure you’ll be called upon on occasion. This entry was posted on Thursday, November 12th, 2009 at 5:34 pm	and posted in Uncategorized. You can follow any responses to this entry through the RSS 2.0 feed. Unfortunately, the only weekend day I’m free, before my next surgery, is the Sunday before Thanksgiving. After that, we’re looking at the middle of January at the earliest.